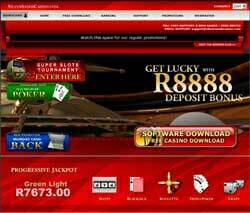 Receive an exclusive R250 no-deposit bonus and up to R35'000 in Welcome bonuses now! 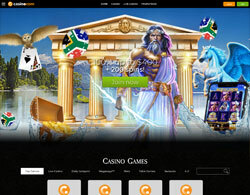 Casino Rand lists a variety of online casinos where playing in South African Rands is available. Casino Rand makes picking an online casino very easy as we have detailed reviews on each online casino, listing all their bonuses, like the welcome to the casino bonus, weekly and monthly bonuses and other special features like Live In-Play. We have everything you need to know about online gambling and can tell you how to play various casino games like online slots, table games and more. White Lotus Casino is a relatively newcomer to the online casino industry (opened for business in 2016), but don't think they are novices! The team behind White Lotus Casino comes with years of experience! And they know what makes an everyday player, a brand loyal returning player! 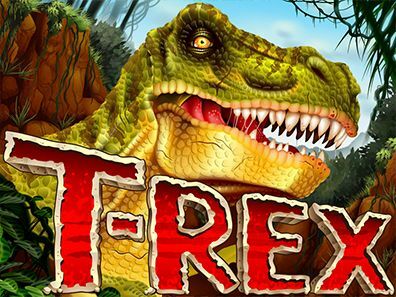 Regular Free Spin Bonuses, Cash Back promotions and of course a huge selection of only the best Real Time Gaming casino games - from "normal" slots through to high paying Progressive Slots, table games, single and multihand video poker and of course other favourites like Keno and Craps. 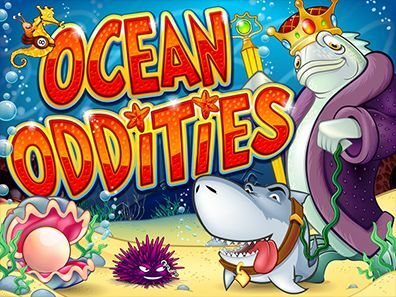 Not convincd yet, then try out all the games on offer without using a cent of your own - White Lotus Casino offers all new players a R300 No Deposit Bonus (use the code R300NEW). We promise it won't be long before you make your first, second and third deposit - then you'll qualify for the HUGE R30'000 Welcome Bonus! 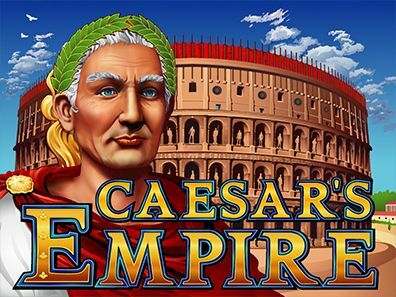 Convinced you never get anything back from an online casino? At White Lotus you do! Up to R10'000 cash back everyday! 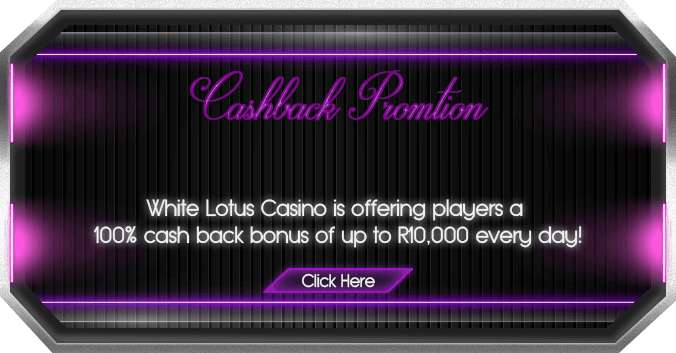 White Lotus Online Casino's huge Deposit Bonus is split over the first 3 deposits - Get up to 300% extra up to R12'000 on your first deposit, another 250% up to R10'000 on your second and a yet another 200% extra of up to R8'000 on your third deposit. That's a total of R30'000 that is up for grabs! 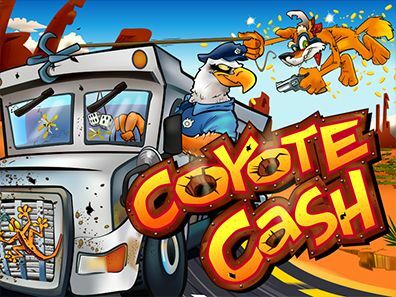 Achilles, PayDirt!, Coyote Cash, T-Rex and hundreds more exciting high quality casino games await you at the casino with the golden touch - Casino Midas. 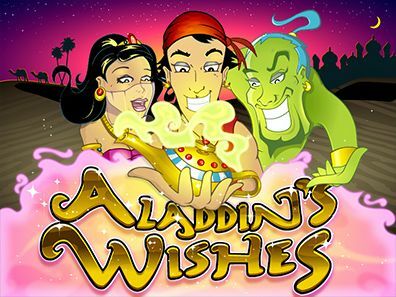 And remember, they also offer new players a mega R33'333 (100% match) slots only welcome bonus, but if your interested in a welcome bonus that'll cover all the great casino games games on offer, then the R15'000 Welcome Package (3 stage 100%, 150% and 200% bonus on your first three deposits, each up to R5'000) is for you. 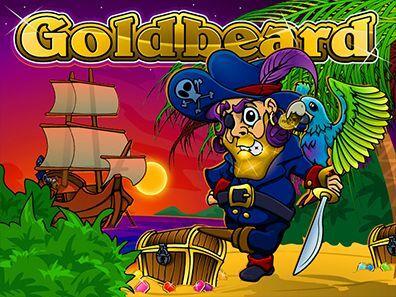 So why not get touched by the golden casino games of Casino Midas today! 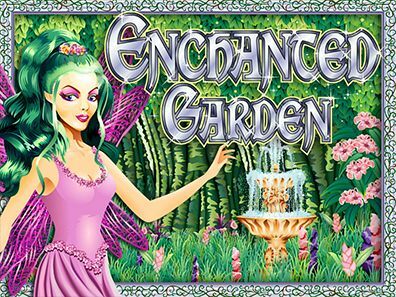 As the name suggests, Majestic Slots is for people who enjoy slots, but they also have a great selection of various other card and table games. 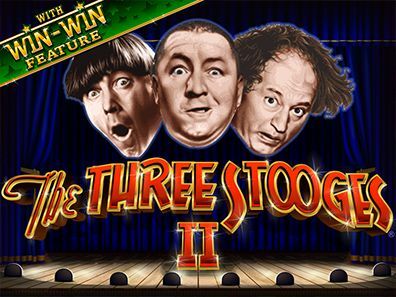 Have a look at their welcome bonus geared towards slots players - a massive 200% match on the first deposit of up to R6'000 free money! 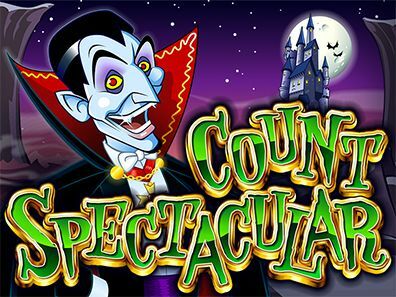 But just to prove they cater for other casino games as well, they also offer a R30'000 Welcome Package of a 100% match on the first 5 deposists! Truly and utterly Majestic!!! 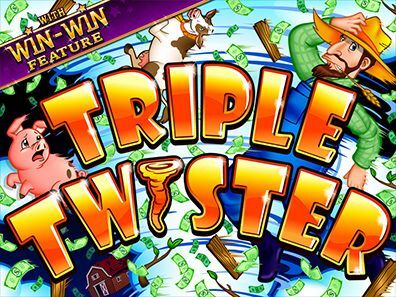 Head on over to Majestic Slots now, and enjoy slot games like you have never done befoe! Yebo Casino is a pretty new casino in the South African Rand market, but they have definitely taken it by storm! Mobile players aren't left out either - Yebo offers a full blown mobile casino that is available for all the popular mobile devices. 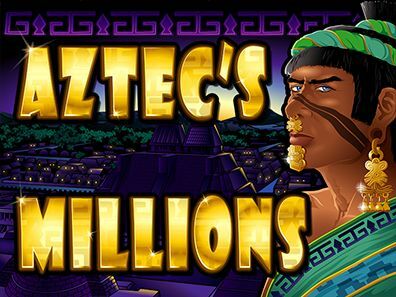 The same great bonuses and offers, high quality games, support and everything else you would come to expect of a mobile casino. 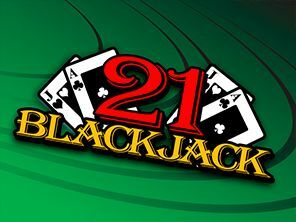 Other rewards you can win include jackpots, tournaments, and promotions. In order to benefit from promotions, you should ensure the casino recognizes your area of residence. However, despite the type of bonus, you should take precaution on the requirements to make sure you are eligible. Have an Android™ based device? 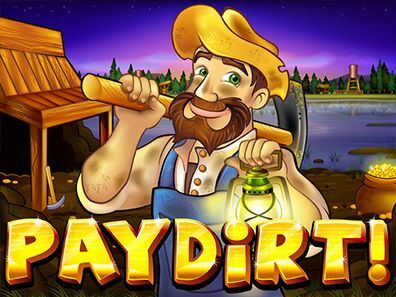 Then have a look at our article on choosing a trusted Android™ casino. Springbok, the truly South African Online Casino, is now available for all major mobile devices! 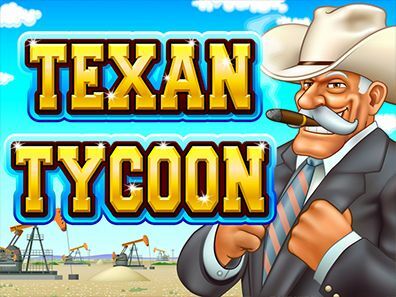 Enjoy some of the best mobile online casino slots, table games and so much more anywhere and everywhere you go! 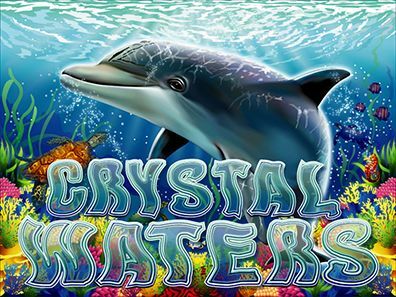 Popular titles include Crystal Waters, Enchanted Garden, Goldbeard, Paydirt and many others! Then there is also the small matter of the R11'500 3-stage welcome bonus - 100% up to R1'500 on your first deposit if you use the code SPRINGBOK100, 50% up to R5'000 on your second and third deposits if you use code SPRINGBOK50 on each. Want more after your first three deposits??? Then use the code SPRINGBOK300 for an extra 300% of up to R600 on any deposit afterwards. You'll think it's payday each day! As far as Rand Online Casinos go, Casino.com offers new Rand players an extremly overwhelming R32'000 in a 8 stage Welcome Bonus. It breaks down to R4'000 (100% match) on the 1st deposit, and a maximum R4'000 (100%) per deposit in Reload Bonuses on the next seven deposits. 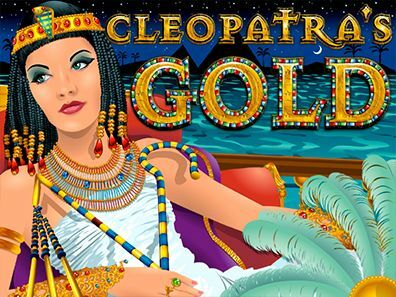 Superior Online Casino is offering all new players from this site an exclusive R250 no-deposit bonus, as well as a R19'000 3-stage Slots bonus. And if that's not enough, they are also offering over R10'000 in other welcome bonuses. And that's just to name a few! Now that's what we would call a superior experience! 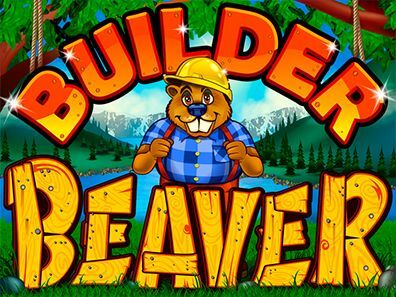 SilverSands Online Casino exclusively offers play in South African Rand. 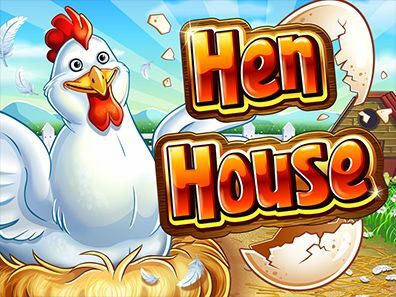 Currently they are offering new players to opportunity to receive R8888 in a three stage First Deposit Bonus Structure. Use code K3XTG when you make your first deposit and receive a 100% match up to R18888, TD8FH on your second and receive a 75% match up to R3000 and code WWYMX on your third for a 50% match up to R4000. 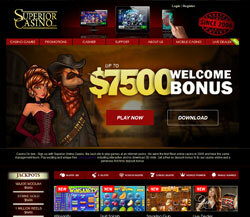 Get A R2000 Welcome Bonus When You Register At Winner Online Casino! From the people who brought you Omni Casino, comes a new action packed online casino - Fly Casino!